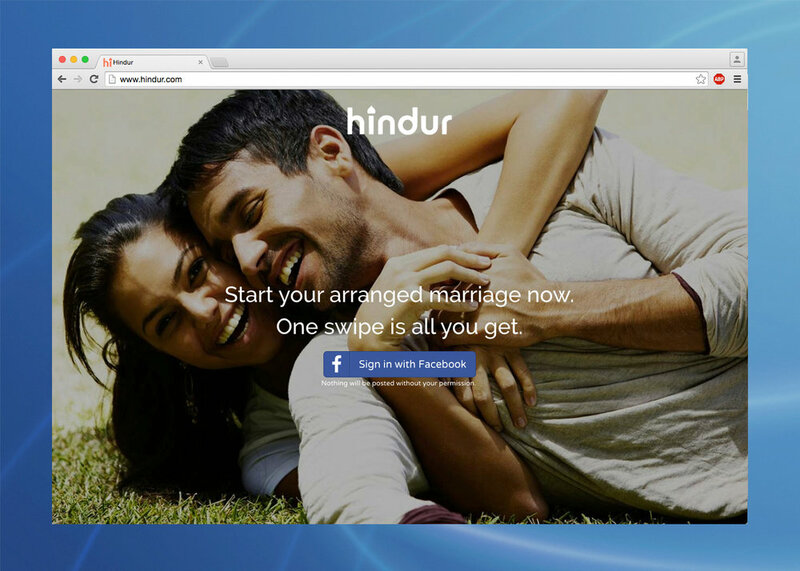 Tinder for Hindu-inspired arranged marriages. You get only one swipe and you have to swipe right. If your Hindu-arranged marriage doesn't fully satisfy you, we also offered the services of AshwiniMadison.com, where you could have an arranged affair.